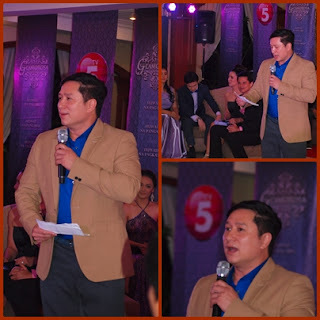 The most glamorous primetime series on TV was launch on TV5 last night November 7 - Glamorosa. It is set against the glamorous yet cutthroat world of cosmetic surgery, that tells the story of two cosmetic surgeons competing for love and success in an industry surrounds by beauty and marred by intrigue and lies. Grand Slam actress Lorna Tolentino, who recently signed with the Kapatid network, debuts in her first drama series for TV5 in the role of Natalia Herrera. Dr. Natalia is a wealthy and successful cosmetic surgeon with a heart hardened by betrayal and tragedy brought about by the loss of her child and the man she loves. 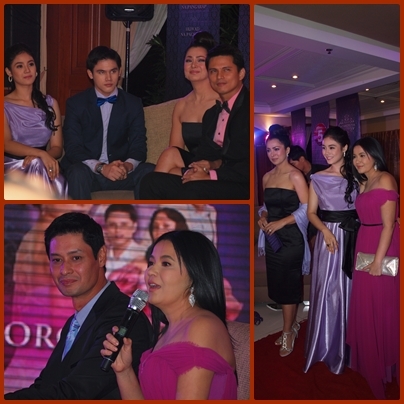 Alice Dixson returns after the successful run of Babaeng Hampaslupa as Paulina Valdez, an up-and-coming cosmetic surgeon and the rival to Natalia; while Zoren Legaspi is Karl, a street-smart hoodlum and the man that captured the hearts of the two leads. Caught in between the two warring beauties is Giselle, a young girl in search of her true identity, a role played by one of TV5’s Princesses, Ritz Azul. Not only is the show deliciously elegant, it also features a riveting plot and an exceptionally talented cast that also stars Tonton Gutierrez, Lotlot de Leon, Jenny Miller, Nonie Buencamino, and the country’s most respected veteran actors, Ronaldo Valdez, Ms. Gloria Diaz and Ms. Celeste Legaspi. Also included in the cast are this generation’s promising and freshest faces: Meg Imperial, Martin Escudero, and Victor Silayan. This quality production is helmed by award-winning directors: Eric Quizon, Argel Joseph, and Bb. Joyce Bernal. 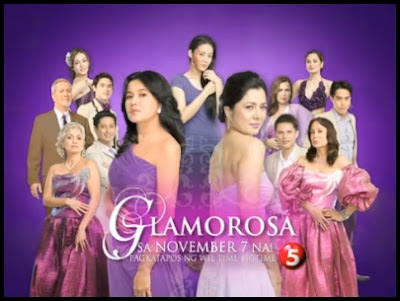 Glamorosa will surely fill your nights with heart-wrenching drama so don’t miss the premiere of this exciting new series. Glamorosa airs weeknights right after Wil Time Bigtime starting November 7 on TV5.